TUCSON, ARIZONA – Mark Biery, JD, CCIM, of Berkshire Hathaway who specializes in Senior Housing closed on two, 10-bed assisted-living care homes at 5530 and 5536 E. 2nd Street in Tucson for $1.28 million ($64,000 per bed). The two 4,200-square-foot buildings were build in 2016 and were ready to occupy when sold. The properties were purchased by Midtown Tucson LLC, dba Starfish Care Homes. The property represents the fifth acquisition in six years. 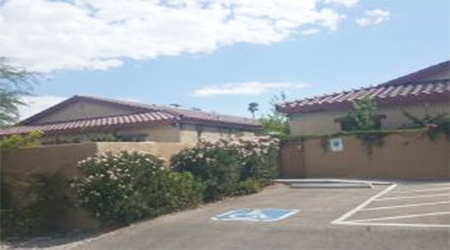 Other Starfish Care Homes include River Hills, 6611 E River Hills Pl; Indian Ridge, 2641 N Bahama Dr.; Spanish Trail, 9251 E Old Spanish Trail; Rolling Hills, 8742 E 27th Street, and now Midtown 5530 & 5536 E 2nd Street all in Tucson. Privately owned and managed, Starfish Care Homes is owned by Kris and Ben Silverman. Kris is a Family Nurse Practitioner with over 20 years of nursing experience specializing in Geriatrics, and Ben is an accomplished businessman who manages the operations of the homes and care of residents. Biery represented buyers and the sellers, 2nd Street Partners I, LLC and 2nd Street Partners II, LLC – a local developer of adult care homes, in the transaction. “The owners of Starfish Care Homes really liked the layout and quality of construction – it fits perfectly with what their residents want, and it makes it easy for Starfish to provide the highest quality of care possible. Being one of the finest assisted-living operators in town, Starfish really wanted to buy Class-A buildings. That’s what they got,” Biery added. For more information, Biery should can be contacted at 520.235.2531. To learn more, see RED Comp #6306.